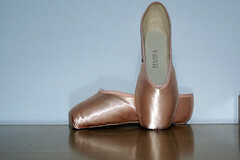 What’s New In Pointe Shoe World ? In between searching for new brands and making regular product checks on the sites listed in the sidebar, things can get quite backed up in the posting department. However, thanks to the manufacturers that have an active social media presence, receiving a new pointe model alert without having to visit multiple sites makes things easier. Evidence of Brazil has added a lovely new model to their collection with the pretty name of Pirouette. The major selling point ( no pun intended) of this model is the 90-degree angle of the toe box. 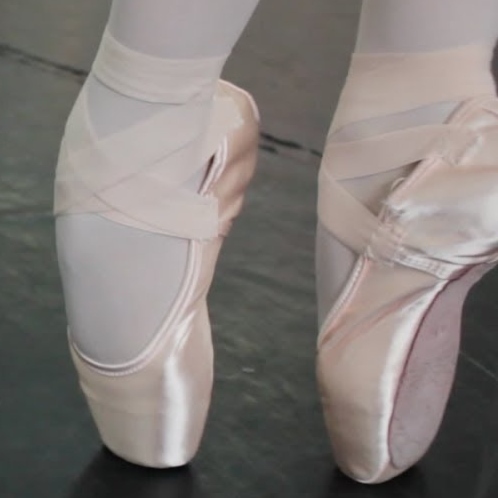 Similar in concept to Freed’s Classic Professional, it coaxes the foot into a central position on pointe. 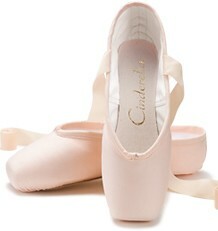 Combined with a strong flexible shank for easy transitions, it could very well be a great shoe for doing pirouettes. It comes with a 3/4 outer sole and is described as a canoe-shaped model that makes your legs and feet look beautiful. Canoe? Perhaps in Brazil that describes a particular shape and not the shallow boat with paddles and two pointed ends that I picture. If you scroll about halfway down on their company homepage, you will see a dancer with etched butterfly wings wearing the Pirouette model. 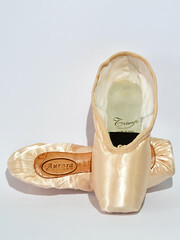 Above the dancer we read : New Pointe Shoe, Design by Fernando Fermino. Do they mean the pretty butterfly design, or the pointe shoes? If you know who Fernando Fermino is, please feel free to comment. Fuzi introduced a new model in their collection this summer; the Lisse. 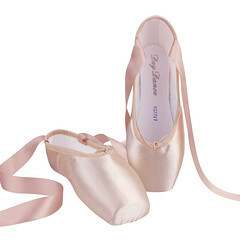 According to the product page description, Lisse is a model that can work for all levels of pointe experience. The major selling feature of this model is sleekness of shape and construction. It looks like quite the low-profile shoe, doesn’t it? 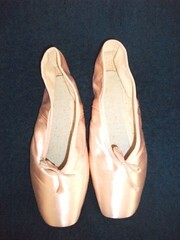 The wings are blocked all the way up the box for dancers that like extra support along the sides of the shoe. You can see the shop display of the Fuzi Lisse in this Facebook photo. This entry was posted in New Models 2017 and tagged Evidence Pirouette, Evidence pointe shoes, Fuzi Lisse, Fuzi pointe shoes, new pointe shoe models 2017. Bookmark the permalink. Thank you for the wonderful feedback. We take great pride in our products and it is very important to hear feedback from our customers and/or the public. This pointe shoe is doing so well. 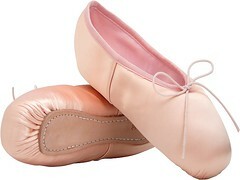 It compliments the dancers feet. regardless of what kind of foot you have. 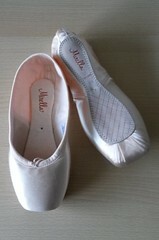 We use different technology in making our shoes than other pointe shoe makers. This is what makes us different. The FUZI line is all created and produced by a dancer Xijun Fu. He listens to all the dancers on what they are looking for and from there creates the perfect fit for them. Thanks again for your comment. Hope you have a wonderful day. I just got a pair of Capezo Donatellas… nice, lighter shank, half shanked already. They are gradually introducing new styles with stuff already “done”, like the pre cut shanks. They are nice, comfortable shoes.